Want to go out of the crowd. Go for this, it never goes wrong. 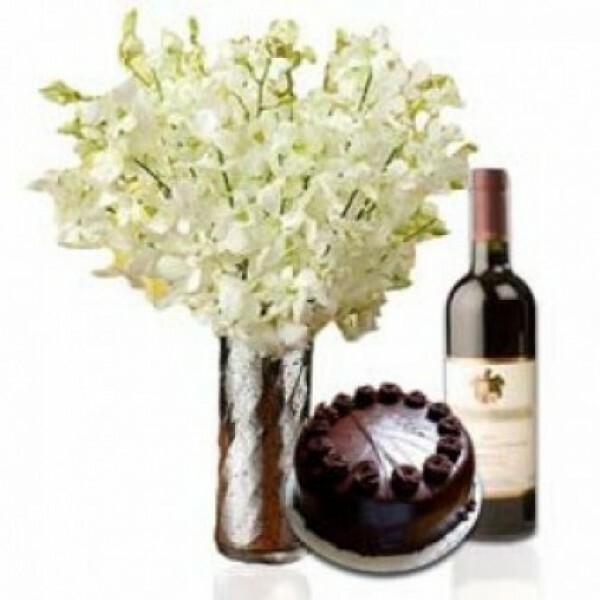 Bunch of 8 White Orchids with Half Kg Dark Chocolate Cake and a Bottle of Wine.